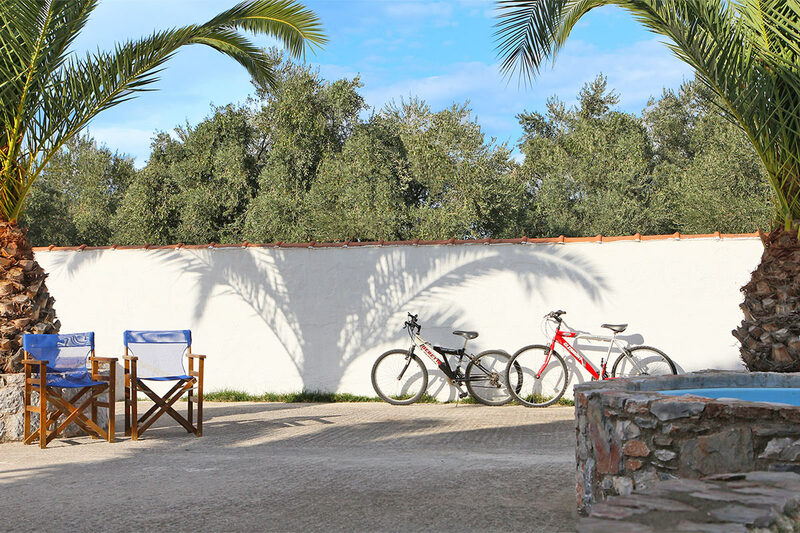 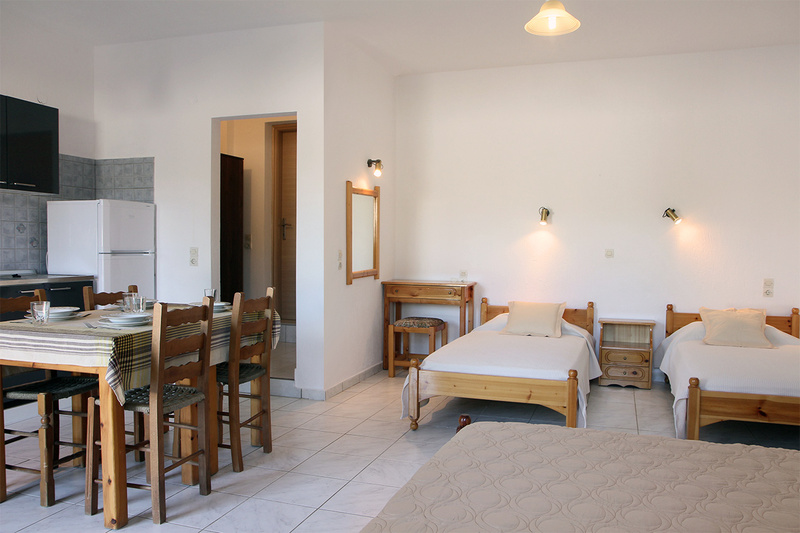 The entrance to this spacious accommodation on the ground floor is from its own terrace in the shared courtyard. 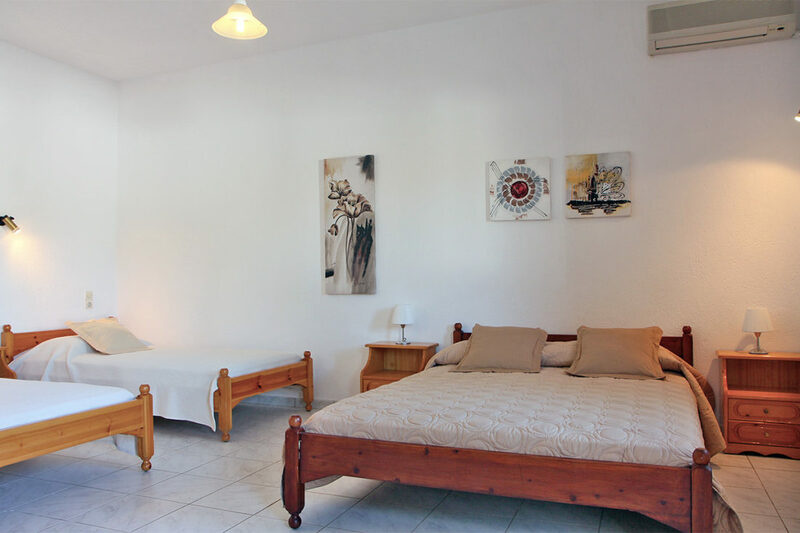 The studio is open plan and features one double and two single beds, all with brand new mattresses ensuring a very good sleep quality, also A/C and flat-screen TV. 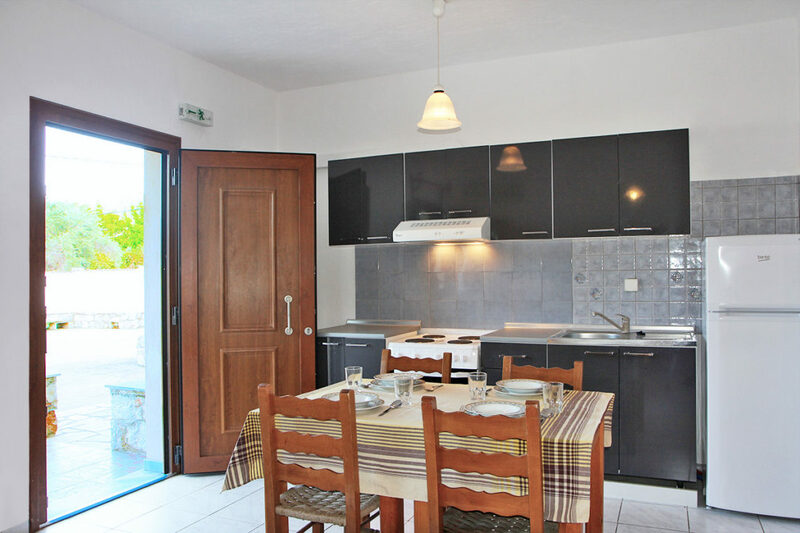 The modern kitchen area – with dining table and chairs – is fully equipped for cooking and preparing meals and breakfast. 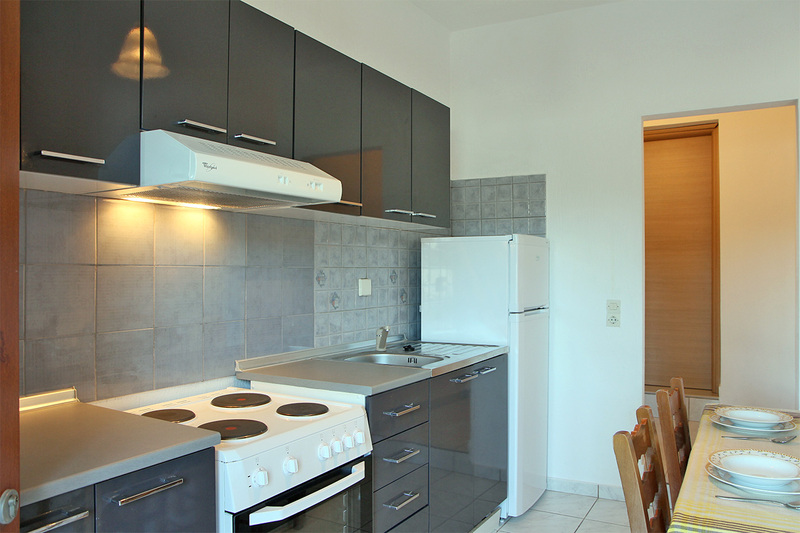 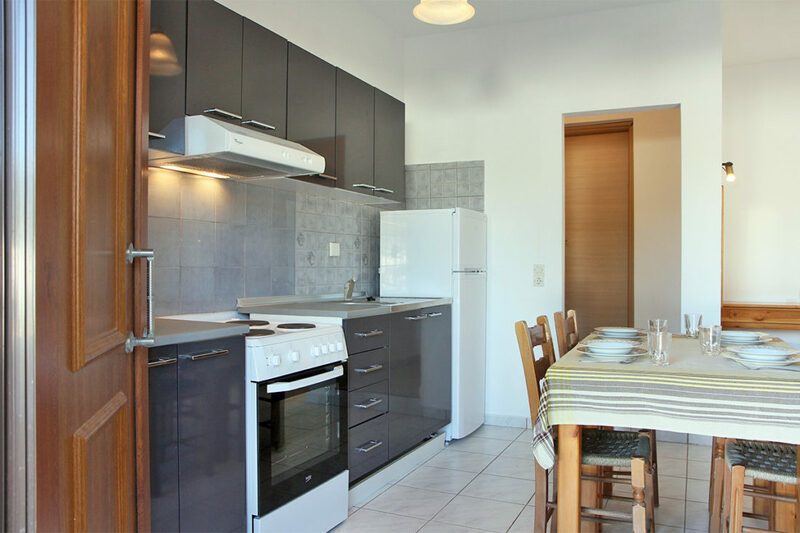 It offers large refrigerator, sink, plenty of cupboards, electric oven with cooking rings and extractor fan. 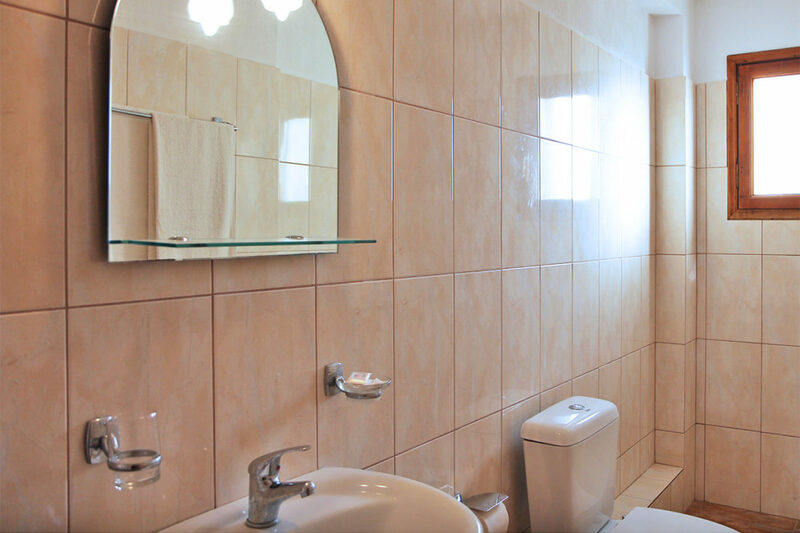 Off the hallway – with wardrobe and space for suitcases – is the spacious, fully tiled bathroom with proper shower cabin, basin and toilet.